How does one receive “the call” a pastor to Boston? And, to not only pastor in the nation’s tenth largest metroplex, but to launch a new church in a city that some have called “the graveyard for church plants?" For Dr. Randal and Shelly Quackenbush, Boston was the river that many streams flowed into. With a theological, musical, pastoral, and academic background and - most importantly - a heart for people, Randal and Shelly moved back to Boston in 2012 to lay the groundwork for the church that became Anchor Church. Randal serves as lead pastor, which includes a role as the primary teaching pastor. They both have a passion for people discovering a holistic, healthy life that is possible for those who have decided to follow Jesus. In addition to his role at Anchor, Randal serves as Chair of the Worship Arts division at North Point Bible College and is adjunct faculty at Gordon-Conwell Theological Seminary. Shelly works at Bain Capital Investments in Boston and leads Anchor Women, a ministry of Anchor Church. Randal and Shelly have three daughters, Elise, Lauren, and Aubrey, a son-in-law Ryan (Lauren’s husband and Associate Pastor), and a yellow Labrador Retriever, Denver. Randal can be reached at rquackenbush@anchorboston.com. Ryan and Lauren Seler have the great joy of being on staff at Anchor Church. Ryan and Lauren strive to create a community for those involved at Anchor Church to grow, learn, and be loved. Ryan received his Bachelors in Church Music from the University of Valley Forge and has the pleasure of pastoring the music teams and overseeing the small group ministry. In both roles, his ultimate goal is to see people - from all backgrounds and at all ages - live a life full of the presence of God. For more information about the music ministry or small groups, email Ryan at rseler@anchorboston.com. A native of the Midwest and now proud to be a Bostonian, Jeff has a passion for helping others and gets his greatest happiness in life by playing a part in building the Lord's kingdom. In his day job, Jeff serves as a Vice President, Financial Advisor, and Senior Portfolio Manager with The Bolder Group at Morgan Stanley, where his group specializes in wealth management for clients in the healthcare field, retirees, and entrepreneurs. He and his wife Anna live in South Boston and are actively involved in community outreach and social causes. Jeff enjoys outdoor activities, live music, cooking, and various sports. Jillian, a native New Englander, is a Software Engineer with her own consulting business in Boston. She enjoys traveling, trying new restaurants, salsa dancing, and experiencing Boston outdoors when the temperature allows. Jillian enthusiastically devotes her time and talents to the Anchor community leading our Welcome Party and Connect Nights. A proud native Texan and now resident Bostonian, Andrew has a passion for traveling the world with his wife, Megan, while they explore the beauty that is the Lord’s creation. While not traveling, Andrew enjoys volunteering at many of Boston’s local community outreach and underprivileged shelters – many of which are supported by the United Way, where he is actively involved. Andrew has spent his career in commercial real estate finance, and is currently on the capital markets team at HFF, LP. Andrew also serves as Treasurer for Anchor Church, working alongside the CFO and Lead Pastor on the Anchor Finance Team. He and Megan met while both attending school at Texas Christian University and currently live in the South End with their first born, Bennett (an 8-year old yellow Labrador). Andrew enjoys all things outdoors, constantly on the hunt for Boston’s best TexMex and prefers to spend his weekends watching TCU football. Fabricio was born and raised in Boston. He resides in East Boston with his wife Kemberli and two boys, Oliver and Elijah. He was called to be in ministry at the age of 12 and as a young adult felt God leading him to reach those people up in the skyscrapers in the beautiful Boston skyline. Fabricio graduated from Valley Forge Christian College in 2012 with a degree in Christian Ministries. He is devoting the rest of his life to spreading the love of Christ in the city of Boston. Spend 10 minutes chatting with him and you'll quickly learn he is a diehard sports fan. He loves to spend time with the family at one of the many amazing parks/playgrounds in the neighborhood and eating delicious food. Born in Canada, Craig came to Boston in 2002 for the opportunity to compete in rowing. His plan was to win some races, get a college degree, and head back home. God had other plans. Craig came to understand the desperate need for Jesus in his own life through campus missionaries willing to entertain tough questions about God, through friends, and through a patient Savior. He is passionate about the work God is doing through the folks at Anchor. Craig is a research scientist at Boston Children’s Hospital and Harvard Medical School. He studied cardiopulmonary science and bioengineering and is dangerously close to completing a PhD focused on improving the use of mechanical ventilation in children who cannot breathe for themselves. Always up for an adventure, Craig is an avid cyclist, rower, mountaineer and semi-extreme backcountry skier. Craig now calls Boston home and resides in Milton with his beautiful wife and two children. 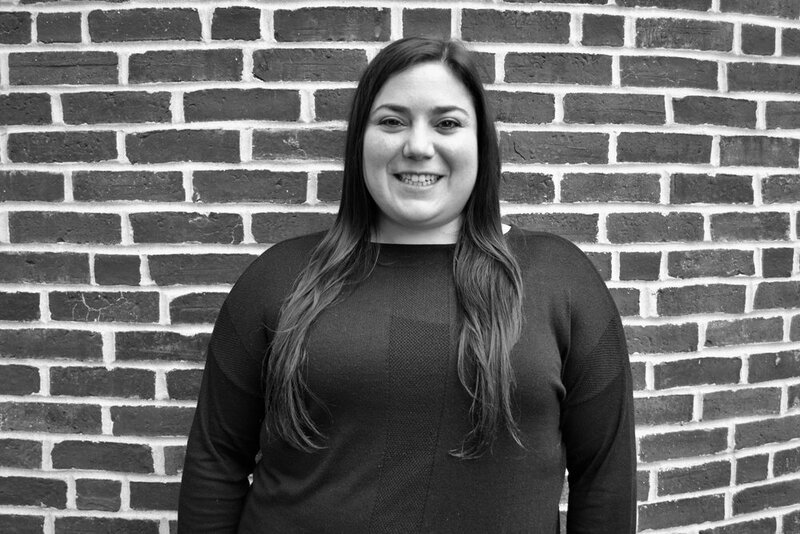 Born and raised in New York, Kelsey moved to Massachusetts in 2006 to attend Gordon College. During her time at Gordon, Kelsey lead the Barnabas Ministry, an anonymous encouragement ministry who's mission was to see and meet needs on campus. She also began to get involved in missions both globally, through trips, and locally through volunteer opportunities. After graduation, Kelsey moved to Boston and happily set down some roots in Patriots nation. Kelsey has called Anchor Boston home since 2015 and has sat on the Global Impact board since it's inception. Kelsey's heart continues to be for building relationships, encouraging and seeing people, as well as noticing and meeting needs. Kelsey is honored to be a part of the Global Impact ministry and hopes to use her passions as well as her organizational leadership skills to serve our Global Impact partners, our church, and our community.